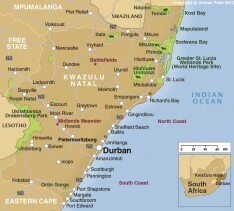 The Midlands covers an area between Pietermaritzburg, Estcourt and Greytown. 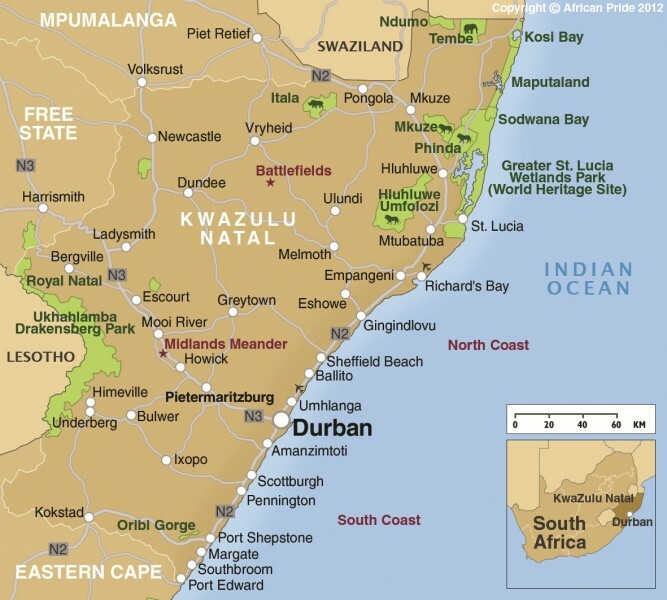 As well as being a beautifully scenic part of KwaZulu Natal it also has a wealth of history ranging from the Zulu kingdom to the arrival of the British in the 1850's. The 'Midlands Meander' is a route through the area extending over a distance of 80km between Pietermaritzburg and Mooi River. It was started in 1983 by a group of craftspeople and has rapidly expanded now including weavers, potters, woodcrafters, leather workers and artists all plying their trade.